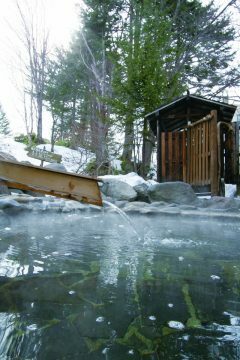 Niseko Nimi Onsen Hotel | Trippino HOKKAIDO - Discover cool things! Niimi Onsen town is surrounded by foot of Shirakaba Mountain Range, and it is where the old famous Niimi Onsen Hotel sits. In summer, there is river fish cuisine avaliable.